Borderlinx | Buy Lanc and ship worldwide with Borderlinx. Cheap rates guaranteed. Lanc?me USA, founded in 1935 is a luxury line of beauty and cosmetic products. The beloved brand symbolizes beauty in all of its splendour, with a French touch of chic and sophistication. Represented by adored stars of the silver screen such as Julia Roberts, Kate Winslet, Anne Hathaway and Penelope Cruz, Lanc?me USA is all glamour and inspiration. Lanc?me USA is an expert in fragrances, makeup and skincare for women of all ages. Using only the finest quality ingredients, Lanc?me USA creates beauty products that treat your skin luxuriously. Treat your skin to luxury with Lanc?me USA Skincare, with a full range of care from moisturizers to eye solutions, anti-aging treatments, night treatments, masks, exfoliators, cleansers and toners. Lanc?me USA has beauty care collections for all skin types for all ages. For instance, the Lanc?me USA famous Visionnaire range aims to improve skin texture qualities, especially in pore reduction, fine lines and uneven skin tone. For under $50, Lanc?me USA Makeup products offer the finest quality cosmetics for eyes, lips, and face to enhance and emphasize your natural beauty. Find your signature perfume amongst Lanc?me USA Fragrances; are you more La Vie est Belle, Tr?sor, or Hypn?se? Lanc?me USA perfumes range between approximately $50 and $100. 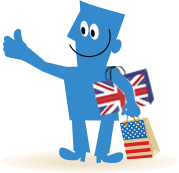 With Borderlinx you can now shop Lanc?me in the USA and ship your purchases to your home country. You pay cheap international shipping, tax & duties upfront, which you can calculate before purchasing with our shipping cost calculator. A number of services are available through Borderlinx to make international ordering from Lanc?me USA hassle-free, including concierge, free repacking and consolidation services.